Cape Cod Salt Water Taffy is still open but not accepting anymore online orders for the season. You can still browse our website, but no online orders will be processed. Please call (508) 394-7557 for ordering information. We will re-open for the 2019 season around mid April 2019. Thank you for your business! We pride ourselves that our candies are made with only the best ingredients! 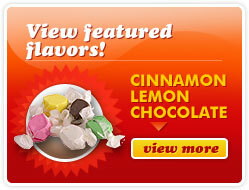 Our passion to make the best quality candy at an affordable price really sets us above the rest. One taste and you'll understand why our taffy is such a big hit on the Cape. Stop by for a free sample! "